This unit has stood the test of time, says Jeremy Gay. Despite being four years old, it still looks sleek, slim and modern — and retains that reassuring Arcadia look and build quality. This is a heavy and sturdy light and, when compared with both older and newer units on the market, remains one of the best looking and best built. The latest model I tested is subtly different to the one I had in 2009, although with updated LED boards and cutting-edge technology. As the arguments for and against LED lighting on reef aquariums rage on, I think there’s still a place for the hybrid T5/LED combo. Some still don’t completely trust LED and with new colours and spectrums being released even I feel many manufacturers have moved the goalposts by moving into violet-coloured LEDs for example, when before they claimed full spectrum. Multiple T5, on the other hand, offers guaranteed results with no arguments and is better known and more trusted by long-term reef tank owners. 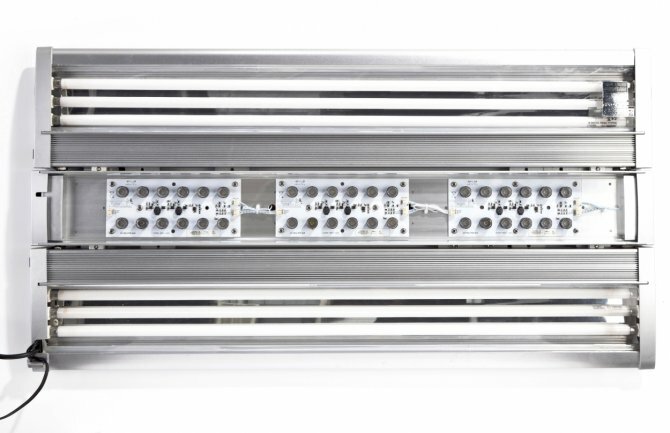 The OT2 is the unit for the LED sceptics, as with its six T5s it can still run whatever tube combination you prefer and trust, yet at the same time you can tweak and test other LED combinations, and with quality LEDs too, on top. What’s more, the T5s are dimmable as well as the LEDs, so with two LED channels controlling blue and white LEDs separately and two T5 channels controlling a bank of two tubes and a bank of four tubes you can gradually integrate LED to your set-up, gradually lowering the amount of T5. You can also get a huge amount of colour and intensity and programming combinations by adjusting all four channels. Programmable LEDS can bring their own challenges, however — one being ease of use. 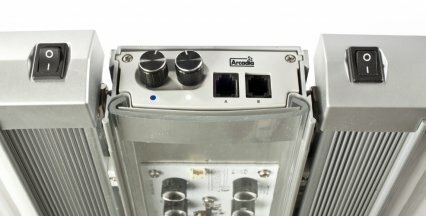 I welcome the fact that the unit itself has manual control of the T5 tubes — on and off of two tubes and four tubes separately — but also manual on and off of the white and blue LEDs separately without having to buy the all-singing, all-dancing controller. If wanting much more empowered control buy the controller to accompany. On top of that you also have the option of PC control. Opt for the controller with PC control on top and you get much more than gradual fade in and out — including dawn and dusk fade-in, moon cycles and cloud cover. This unit only comes in a few sizes and being 47cm/18” front to back I don’t recommend you’ll get the full benefit from any tank under 60cm/24” wide. It needs to be ceiling hung in most situations or you need to get Arcadia tank mounting legs, as used for metal halides, at extra cost. The OT2 LED is minimum 1m/3.3’ long. It’s manufactured in silver and I would welcome seeing a black or even a white one too, but I’m just being picky and if they introduced a black one I’m still not sure I’d invest in one. The LEDs run down the middle of the unit and with new upgraded LED boards they do shine through the broad T5 light and provide shimmer — a big plus point — although I find they provide just a narrow band of really intense LED light down the middle of the tank through lensing. This means I get no LED benefits in the corners of my tank, down the front or down the back. This can create a weird look, with the pinky purple haze of T5 light around the edges and much more punchy, cleaner LED in the middle. This won’t be to everyone’s taste. That PC control is still only PC, not Mac, and the controller needs plugging permanently into the unit, not using wireless technology which we have already seen on competitor models and are now actually getting used to. On the subject of those T5s, they come in two banks of three and share a rather basic reflector. However, I still can’t help thinking that separate reflectors would be better and more efficient. The test tank is rimless too, and I and others have noted horizontal light spread across from the cover on the T5s when we really want it all shining downwards. The T5/LED combo has been a unique selling point in the UK until this point, although, from what we’ve seen, these units have been desperately thin on the ground both in the shops and on hobbyist’s tanks, so they don’t appear to have taken off as they should have done. Having some extra T5s tempts me and its an easy way of getting a spectral boost with some red and violet, for example, to complement the blue and white LEDs provided. It’s hanging in there in what’s now a saturated aquarium lighting market and I want to love it. Trust me I do. However, a few little niggles, like the width of that unit and uneven light spread, prevent it achieving true greatness. Prices: 36 LED, as featured, £1368.49, controller £183.99.